Do you like comics? How about your kids? I love the nostalgia that comes with comics – especially ones like Captain America. 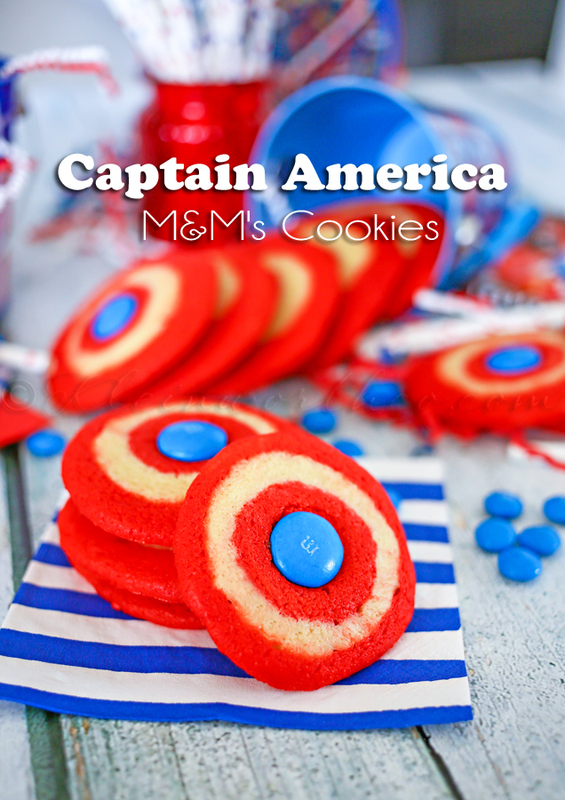 So today I’m sharing these Captain America M&M’s™ Cookies. As you know – I love all things patriotic & what character is more patriotic than Captain America? I am so LOVING these cookies. 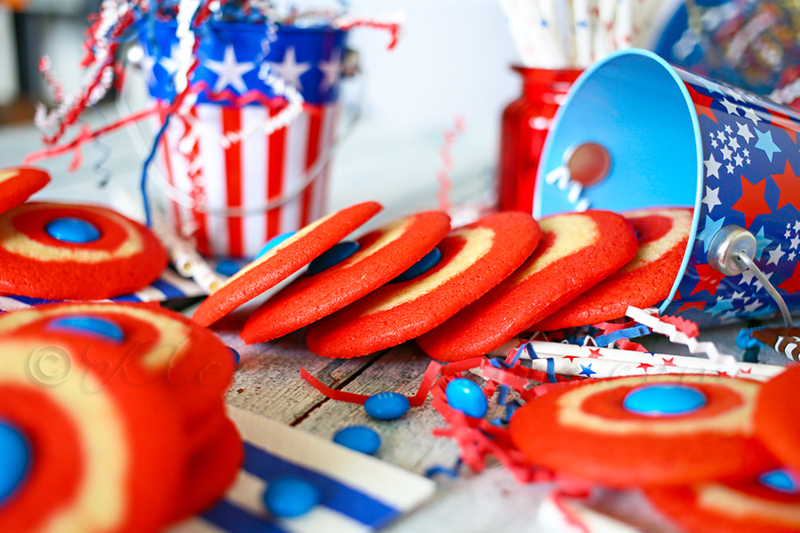 Aren’t these just the cutest patriotic cookies? I love that they are adorned with M&M’s! Not only do they look great but they are so yummy too. My kids were so excited. They were commenting the whole time they were baking about just how wonderful the house smelled. I love that. In your mixer bowl with paddle attachment - beat butter until soft. Add sugar & beat until light & fluffy. Add in eggs one at a time - beating after each one. Add dry mixture & beat until just combined. Remove half the dough & wrap in plastic wrap. Flatten out to 4x4" piece & refrigerate. With remaining dough beat in food color to your desired pigment. I added close to 50 drops of gel color to achieve this red. *Note - adding this much color will make your dough sticky. 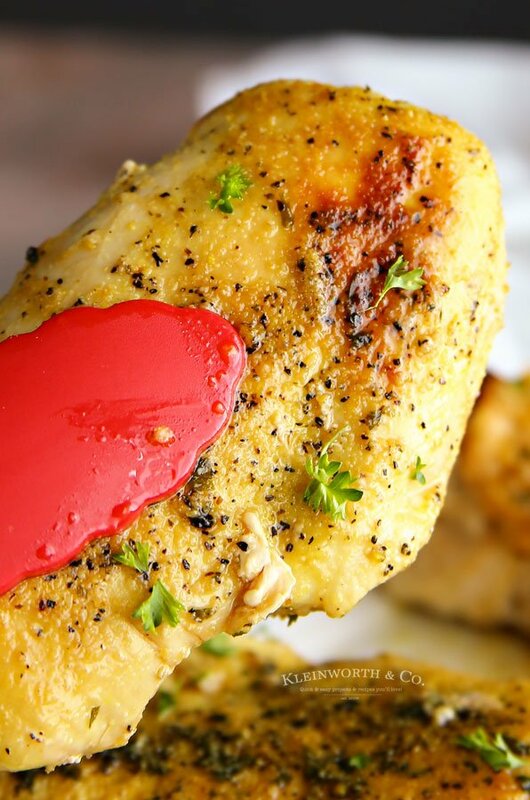 You may want to add in a tablespoon or two of flour to keep it more firm & easier to work with later. Remove red dough & separate into 2 equal parts. Wrap with plastic & refrigerate at least 30 minutes. Remove top layer of parchment & roll dough into a log. This will be your center piece. Wrap with parchment & place in freezer while you work with the next layer. Remove your white dough from refrigerator & roll out in the same manner you did the first batch. Once you have a thin, even rectangle - place your red log on the white dough & roll into a larger log. Follow these steps for the final red dough. When you are done you should have a large red log with the centers looking like a bulls-eye. Take your log & slice it into 1/4 inch rounds - I like to use unwaxed/unflavored dental floss to cut through the dough. This helps it keep it's shape when cutting. Place on baking sheet 2 inches apart to allow for spread. While they are baking you can separate our your blue M&M's from the package so you have them ready. 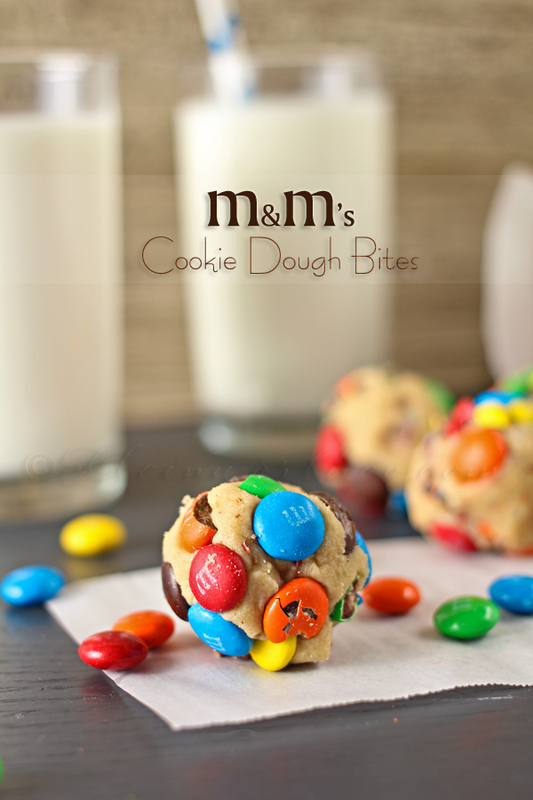 Immediately when you remove from oven - place your blue M&M's in the center before the cookies cool. Transfer to a wire rack to cool completely before transferring to an airtight container for storage. 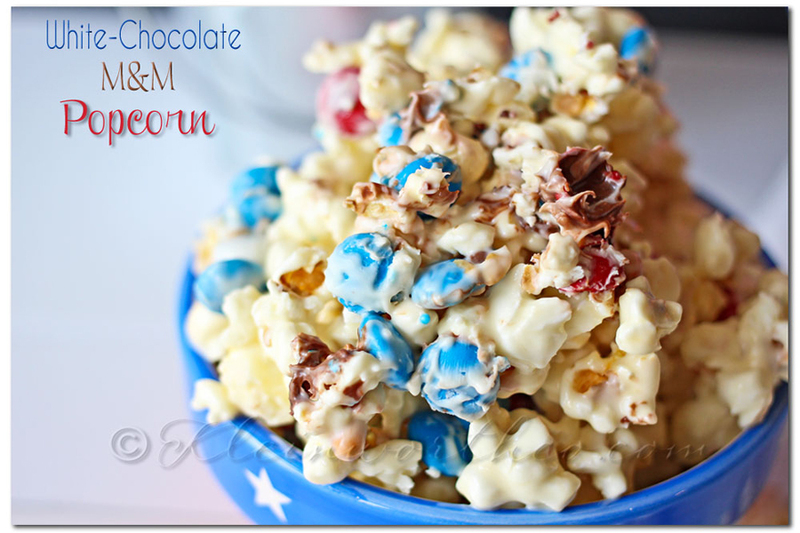 Want more great M&M’s recipes? These cookies are the cutest!! My boys would love them, not to mention my husband too. We just watched the new Captain America movie last week & loved it! Pinned! 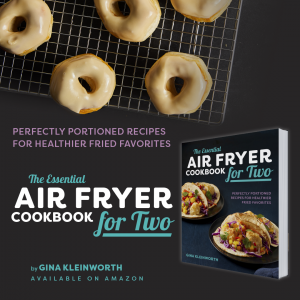 You know how much I love these Gina – so creative and fun! Pinned! I’m in love with these! 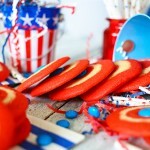 Captain America is actually my favorite superhero, so I’m definitely going to be making these! Wow! These are SO CUTE! I have 2 little super hero fanatics at my house that would just LOVE these! (And probably attempt to frisbee toss them like Captain America before eating them! Ha!) 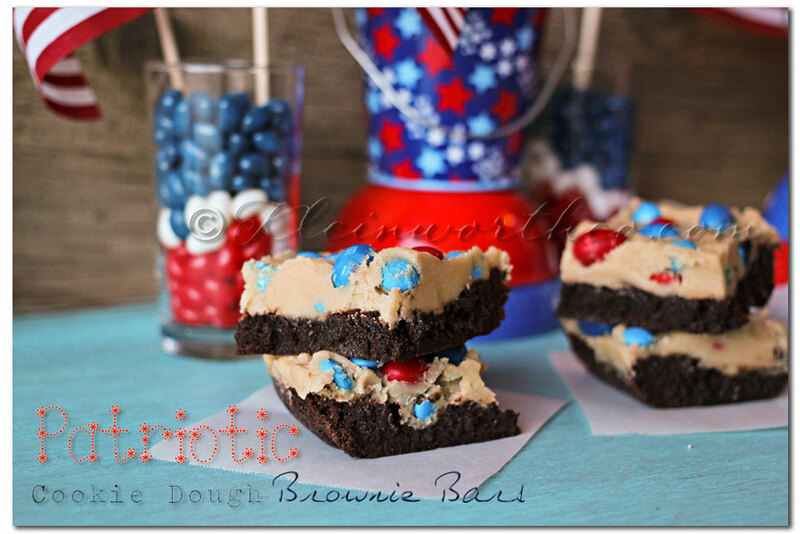 I’m definitely going to make these for their birthday coming up! What great cookies! I know there are many Captain America fans who would love these! Thanks for sharing at the In and Out of the Kitchen Link Party! Cute, Cute! I found you on Take-A-Look Tuesday. Thanks for the idea. I pinned to my party board. Oh thank you so much- I hope you try them.